Bosch front-loading washers are designed for household use, and are suitable for machine washable fabrics. They also feature wash cycles specifically for woolen items marked "hand wash only." Bosch front loaders utilize water from the domestic cold drinking water supply. Any detergent and fabric care substance marked "suitable for machine use" can be added to a Bosch washer's dispenser drawer. The machines also feature variable spin speed controls. If your Bosch washer develops a problem, there are several troubleshooting measures you can try which may well solve the difficulty without the need to call in maintenance experts. If your Bosch washer develops a problem you may well be able to solve it with a few simple troubleshooting measures. Check that your Bosch front loader's plug is fully inserted in the socket. If it is loose, it may not be making contact with your home's electricity supply. Check the fuse board in your home. Study the fuse that applies to your Bosch washing machine to ensure it has not blown. If your home is equipped with a breaker box, ensure the relevant switch has not been tripped. Ensure a power cut in your neighborhood is not the cause of your washing machine failing to function. Switch on lights to check the supply is still operational. Ensure you have pushed the "Start" button on the control panel. Ensure the faucet to which the washing machine's fill hose is attached has been turned on. Check the entire length of the infill hose to ensure there are no kinks or jams which could be hindering the flow of water. 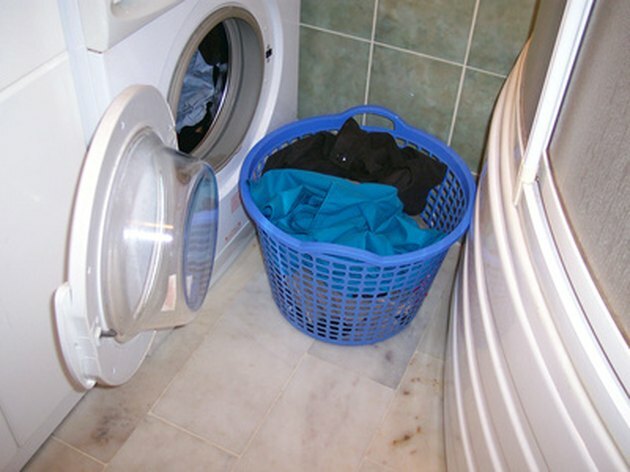 Ensure each wash load is made up of both small and large items. Check if the "Reduced Ironing" function has been inadvertently selected, as this will mean clothes are wetter after the spin cycle. Look at the spin speed selected for the load to ensure it is high enough for the type of items being washed. Ensure the wash drum is empty and the door fully closed. Pour a normal measure of standard detergent into the main wash section of the detergent dispenser. Select the "Cottons 90 Degrees Celsius" program and switch your washing machine on. This will thoroughly clean its interior.